The Walworth Tragedy: Were the Bacons Guilty? Portrait of Thomas Fuller Bacon from a broadside with the title “The Walworth Tragedy”. On Sunday the 28th December 1856 Thomas Fuller Bacon and his wife Martha set out from their house at no. 4 Four-Acre Street in Walworth to visit relatives in Mile End. They were not Londoners, and had moved from Stamford in Lincolnshire only a few months before. They arrived at the house of William and Harriet Payne—Harriet was Thomas’s aunt—a little before dinner at one o’clock. That evening William Payne asked Martha where her two children were, and was surprised to hear that they were at home, alone. He reportedly said: “Martha, if my mistress had left my children like that when I was young, I should never have forgiven her.” Martha replied: “Uncle, don’t fret about the children, they are happy enough.” Martha’s response is beyond surprising, as the children, Edwin and Sarah Ann, were a mere two and a half years and eleven months old respectively, and had been left alone in an unheated house nearly all day, with nobody to soothe or feed them. In spite of this lack of care, Thomas was keen for his cousin Harriet Munro, who was William and Harriet Payne’s married daughter, to come down to Walworth for the week to stay with Martha while he worked away from home in Reigate. Late in the afternoon of the next day—Monday—Harriet arrived in Walworth. She knocked repeatedly on the door of the small house and received no reply. She returned in the evening, but after two hours of waiting she left again, annoyed at her wasted journey. Photograph of Martha Bacon in Broadmoor Hospital. All the same, Harriet was concerned, and on the Tuesday she once again went to Walworth, this time accompanied by her mother. They were relieved to see Martha walking along the road: she said she was off to pay her rent and she produced the rent book and half a sovereign. But their relief turned to alarm when Martha said, almost as an afterthought, that she wanted to tell her landlord that a man had broken into her house, murdered both the children and tried to kill her. Harriet and her mother insisted that they return to the house, where they found that it was indeed true that the poor children were dead. A policeman was summoned from the Kennington Lane Police Station, and Harriet’s mother let him know that she suspected Martha of the terrible deed. The resulting lengthy inquest, held in the Bee Hive Tavern in Carter Street, saw both Martha and Thomas Fuller charged with the shocking crime of murdering their little children. View of Stamford. Illustration in History of Stamford (1822) frontispiece. Thomas and Martha Bacon had met in Stamford. He had been born there in 1821, and worked with his father, Nathaniel, as a whitesmith. They were a moderately prosperous family, with Nathaniel owning property that yielded rent of about £150 per year. Martha, who was six years younger than Thomas, had been born in Marston Trussel in Northamptonshire to George and Sarah Judkins. George was an unsuccessful farmer, and on his death Sarah went to keep house for a nephew by the name of John Blott, who was part owner of a busy drapers’ establishment in Stamford. It was probably here that Martha learned her trade as a milliner. Surprisingly, though, rather than plying her trade in Stamford, she moved to London to live in Chelsea. During the spring of 1850 Thomas had some sort of relationship with Sarah Coulson, a local Stamford girl, who became pregnant. A few weeks before Sarah gave birth to his son, Alfred, Thomas took a trip to London. There, on the 9th of September, he acquired a special licence to marry without banns, and on the following day he married Martha Judkins at St Luke’s Chelsea. The married couple moved back to Stamford at about the time an order of affiliation—a bastardy order—was made against Thomas as the father of Sarah Coulson’s child. At the time Sarah may well have resented not marrying the well-set-up young smith. But I’m sure that she eventually came to think that she and Alfred had had a lucky escape. In the 1851 census Thomas is described as a master whitesmith and Martha as a dressmaker. In June 1854 a son, Edwin, was born. Four months later in October Thomas’s father Nathaniel took ill after having dinner with the young couple. When he died a few days later, Thomas inherited some of his property, and his mother the rest. The birth of a daughter, Sarah Ann, in January 1855 may have suggested that happier times were ahead, but instead tragedy struck. Martha had had a terrible confinement, and after the birth she began to behave strangely, hearing voices and becoming violent to those close to her. Then in May 1855 Thomas’s mother, a strong and healthy woman of sixty-three, died after a short illness that came on suddenly while she was at dinner—dinner again!—at his house. Rather than mourning his mother’s demise, Thomas was annoyed that she had made a will behind his back, leaving her property to all four of her children rather than to him alone, as stipulated in his father’s will. St Luke’s Hospital for Lunatics, London, situated on Old Street, between Bath Street and what is now the City Road roundabout. Built around 1786, and demolished in the 1950s. Martha’s psychosis worsened, and she began to accuse her husband of poisoning his mother. No one seemed to take any notice, and in June she was shipped off to London to be treated as a private patient in St Luke’s Hospital for Lunatics in Old Street. A number of relatives visited, including Thomas. He brought the children with him, and this must have been a comfort to Martha, who was described as a fond and kind mother. But while Martha was in hospital, Thomas had yet more bad luck when his house on Peter’s Hill burned down. Fortunately a female servant managed to rescue Edwin and Sarah Ann, but the Sun Assurance Company had their suspicions, and she and Thomas were taken to court on a charge of arson. As the value of the property was slightly higher than the amount it was insured for, Thomas was found not guilty. 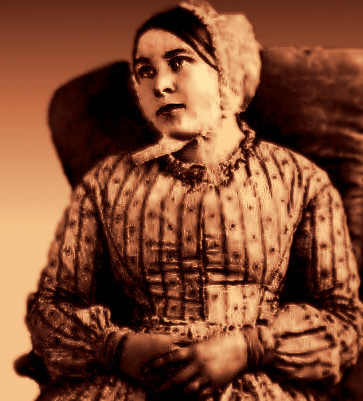 Not long after, he moved to London, with the children, to be reunited with Martha when she was released from the asylum. Who knows if things had got too hot for him in Stamford, or if he wanted a fresh start for Martha. I’m having trouble pinpointing exactly where in Walworth Four-Acre Street was, but I imagine it led off Lorrimore Street, which boasted a Four-Acre Tavern. Be that as it may, the Bacons were obviously not the poorest residents of the area, as they had a whole house to themselves. They minded their own business, and the most their neighbours could say about them was that the father was occasionally seen carrying the children, and that one of the children—possibly the baby—could be heard crying every day. When the police came to investigate this most horrible murder, Edwin was found downstairs in his wicker seat with toys around him. His throat had been cut. Sarah was upstairs on the bedroom floor, killed in the same way. Martha also had marks on her neck, but her story did not stack up. There was no evidence that anyone had climbed in the ground floor window of the back room: not only was it securely locked, but the dust on the outside sill was not disturbed, and the soft ground outside showed no sign of footprints. Martha’s oddly undemonstrative behaviour, her bloody chemise and her history of mental health problems immediately marked her out as the perpetrator of this awful and unnatural crime. Was this why Thomas was so insistent that his cousin stay when he was away from home? The following day—Wednesday—the police went down to Reigate to bring Thomas back to London. He began to do and say odd things. When asked about a cut on his knuckle, he first blamed it on carving Sunday dinner, and then said that he had got it when whittling. Furthermore, when Martha’s story of the murderous break-in began to arouse suspicion, he suddenly “realised” that his coat, watch and money had been stolen. The problem with this claim was first that the tailor who had supposedly made the coat denied that any such existed, then that the watch was found on a doorstep not far from the house, and finally that the missing notes were discovered not to be missing after all. Were these the actions of a man trying to protect his much-loved wife, or did Thomas have more sinister motives? Horsemonger Lane Gaol. Illustration in Henry Mayhew and John Binny The Criminal Prisons of London (1862) page 625. When the letter was read to the court, Thomas was horrified, either because he was completely innocent, or because he could not believe that Martha would rat on him. At the very least it proved that Martha had been present when the murders took place. Thomas for his part had left for Reigate at about six-thirty on the Monday morning. A next door neighbour, a shoemaker called John Latchford, said that the only sounds he had heard on that day had been those of “the fire being opened”. There was no noise from the children, a claim that was corroborated by other neighbours. Nor did it appear that the children had been heard on the Sunday either, which would be odd if they had been left alone all day. Had they been killed before Thomas left on Monday? Had the Bacons concocted the story of the break-in happening while Thomas was in Reigate to give him an alibi and to paint Martha as a defenceless victim? Even when Martha accused Thomas of actual and attempted murder, she never suggested a reason for the crime, and although he received a very bad press in court—he was accused of being a forger, a fornicator, a potential arsonist, the cause of his wife’s metal illness through violence, and even a matricide—he was acquitted and Martha was found guilty. The court recommended mercy on the grounds of insanity, and Martha was sent to Bethlem Hospital, from where she was later transferred to the newly built Broadmoor as one of the first female inmates. WHAT WAS THE WHITE LIQUID? Although found not guilty of killing his children, Thomas was immediately transported to Lincoln to face the other charge of murdering his mother with poison. As we saw above, Ann Bacon came to dinner with Thomas and Martha in May of the previous year, that is to say 1855. It was a Sunday—the 13th. She asked if she could have some of the broth that was being prepared for young Edwin, and then went on to a “nice pudding and meat”, following which she immediately fell ill, suffering terribly from sickness and diarrhoea. Transported to her own home, she began to rally, and she managed to sit up in bed and take tea. Thomas was frequently at her bedside, and, according to another daughter-in-law, he gave her a white liquid from a small square bottle that had not been prescribed by a doctor. Ann subsequently died. She was buried in the churchyard at Great Casterton a few miles out of Stamford. And now, in 1856, at the inquest and trial on the deaths of young Edwin and Sarah Ann, rumours about Thomas’s past were beginning to surface. He was obviously not greatly liked in Stamford, and the rumours were in fact so strong that his mother’s body was exhumed. 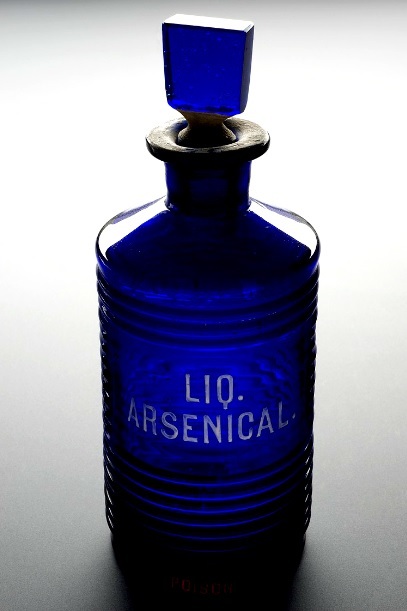 Initially it was thought unlikely that anything would be found, given the length of time Ann had been buried, but when her stomach was found to be well preserved, and certainly when arsenic was discovered, it was clear that something was amiss. After five years in Millbank he was transported to Australia on a ticket of leave. His convict record describes him as a stout five feet five inches with brown hair and hazel eyes, a thin face, and a fresh complexion. After working as a blacksmith in and around Fremantle, he succumbed to a disease of the kidneys, bladder and urinary passage. On the 16th of July 1869 he died in the prison hospital, far from home. Martha outlived him by thirty years, dying of stomach cancer in Broadmoor in 1899. It is difficult to get to the truth of these crimes. Was Thomas wicked, unprincipled, greedy and selfish? 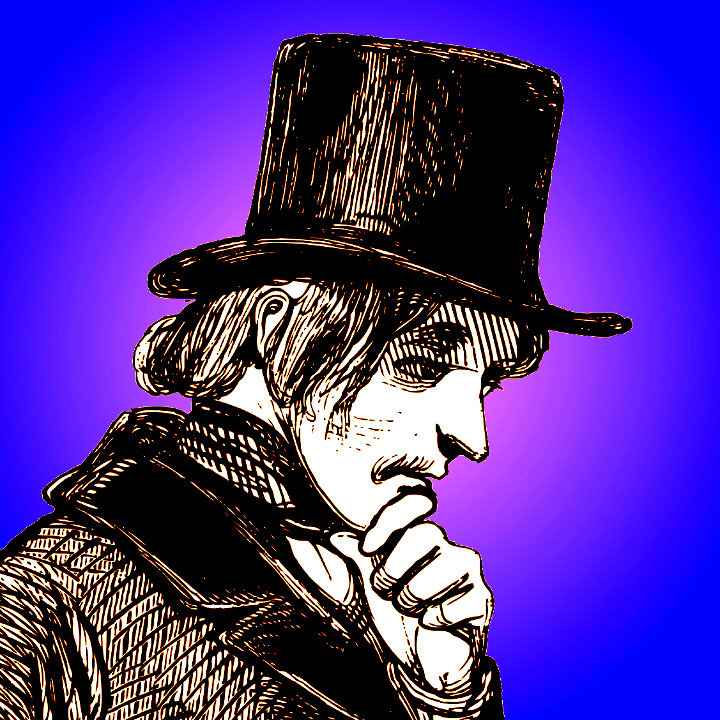 He had deserted Sarah Coulson, the girl pregnant with his child, and he was rumoured to be a cheat in business, and he was a suspected arsonist. Maybe he was hoping to claim insurance on his property, and maybe also on the lives of his children. Maybe he had killed his father to get his hands on his inheritance, and maybe he had then dispatched his mother for what he assumed had been left to her. 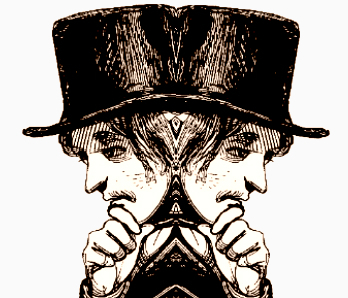 Or was he just very unlucky, both in the turns his life had taken and in his choice of partner? After all, Martha had been present when his father, mother and children had died. Then again, is it too easy to blame the woman who was put away in a lunatic asylum when she started to accuse her husband of being a poisoner? My research for this post was carried out principally in contemporary newspapers and on Ancestry.